The Samsung Galaxy Note 3 is arguably the most popular phablet on the marker. Equipped whit its 5.7 inch 1080p Super AMOLED display, powerful Quad-core processor and not to mention its new S Pen functionality it remains a solid option for consumers, at least for the near future. The OPPO Find 7 is less known to the public. 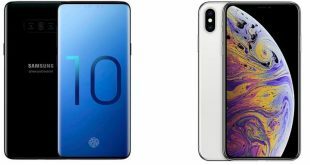 It was announces by OPPO Electronics Corp in March but it’s popularity is grooving by the day thanks to its stunning 5.5 IPS 2k resolution display, Snapdragon 801 chipset and ultra fast charging capabilities. 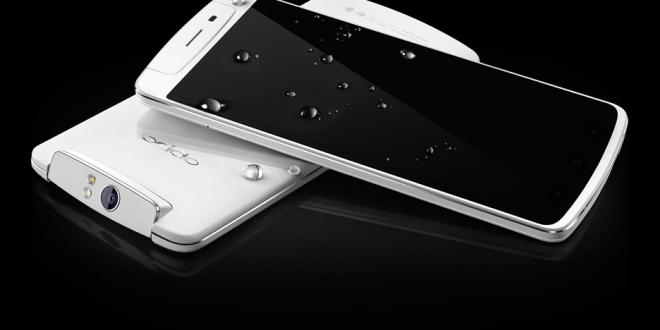 It comes in two variants, the basic Find 7a and the QHD model. In this review we are going to focus on the high-end edition of the Find 7. The Samsung Galaxy Note 3 might be more popular, but is it also better? Let’s find out. Released in the beginning of October 2013 the Galaxy Note 3 is still top of the line. Thanks to its powerful hardware and constant software support it should remain a highly popular device even after the new Note 4 comes out. The Note 3 is getting cheaper each moth and becoming more and more affordable to the masses. The most obvious thing about the Samsung Galaxy Note 3 is its size. It’s a large phone and it might take some getting used to. Using it one-handed might even be impossible unless you have freakishly large hands. I was designed with a faux leather plastic back with stitching imitation around its edges to look more convincing. It certainly looks good given that it’s only rubberized plastic. As mentioned before, the Note 3 uses a 5.7 Super AMOLED display with 1080p resolution and 386ppi pixel density. As with any OLED-type screen, the contrast and black levels are excellent. The Samsung Galaxy Note 3 has a 13-megapixel rear camera with single-LED flash, with features like: Dual Shot, image stabilization, face and smile detection, panorama and HDR. It can also record videos at [email protected] and [email protected] It also has a 2 MP front camera. Despite having no physical camera button the fast auto-focusing and zero shutter lag can make it a really enjoyable camera to shoot with. The software on the Note 3 has been recently updated to the latest Android 4.4.2 KitKat. It also uses Samsung’s custom UI called TouchWiz. The Note 3 responds to air gestures, finger lingerings above the screen, palm swipes and it even senses if your eyes are looking at the screen. The Samsung Galaxy Note 3 makes use of the Snapdragon 800 chipset and Krait 400 Quad-core 2.3 Ghz processor. Backed up by the Adreno 330 graphics processor and all the connectivity you can possibly need, including USB 3.0 support and 4G LTE connectivity. The Note 3 has 3GB of system RAM, 16/32 GB internal storage depending on the model you have and it also has microSD support. The 3200mAh battery should give you up to 420 hours on stand by and 21 hours talk time. The huge battery can also give you up to 15 hours of video playback. The Note 3 ships with a 2-amp wall-charger allowing it to fully charge in 2 and a half hours. The OPPO Find 7 looks stunning, with elegant curves and high-end built quality with steel elements. Its front black slate houses the 5.5-inch screen with capacitive keys on the bottom. The eye-catching LED notification light, or Skylight (as OPPO calls it) at the bottom completes its minimalistic design. The higher-end QHD model has an attractive carbon fiber back with a textured pattern. Unlike the Note 3, this device can be handled with on hand but it certainly needs some practice. The OPPO Find 7’s 5.5-inch IPS LCD display with 2k resolution (2560×1440) and 534ppi pixel density certainly is a head turner. Considering its screen size it can be almost be considered a phablet. Its 13 MP main camera comes with Dual LED flash. It features: BSI (Back-illuminated sensor), Autofocus, HDR, Panorama, Macro mode, Scenes, Night mode and Smile detection. It also has the ability to shoot in RAW format thanks to its special camera app. The phone comes with a 5 MP front camera and video recording capabilities at 2160p (@30fps), 1080p and 720p resolutions. The Find 7 runs a customized version of the Android 4.3 Jelly Bean called Color UI 1.2 by the company. The modified OS has a unique look and custom apps that make use of all the Find 7’s capabilities. OPPO 7 QHD version has a powerful setup using the Snapdragon 801 MSM8974AC chipset coupled with the Krait 400 quad-core 2.5Ghz processor, 3GB of system memory and 32 GB internal memory. The storage space can be expanded using a micro SD card of up to 128GB. Connectivity options include Wi-Fi, Bluetooth, GPS/ A-GPS, microUSB v2.0, USB on-the-go, 3G and 4G LTE. The OPPO Find 7 packs a 3000mAh battery which can charge up to 75% in 30 of charging thanks to its Rapid Charge technology. That certainly sounds impressive and hopefully OPPO will deliver. The Samsung Galaxy Note 3 has strong points in its favor and it can keep up the pace with the OPPO Find 7’s newer hardware. Both devices have their extra features that make them stand out, like the screen size of the Note 3 and its unique S pen or the fast charging capabilities and stunning screen of the Find 7. Eventually it all comes down to the price. The Samsung Galaxy Note 3 is getting cheaper and becoming more accessible to everyone as time goes by. The OPPO Find 7 is not available worldwide yet but its premium version is expected to cost around 600$. Which one would you choose: the reliable but older Samsung Galaxy Note 3 or the newer OPPO Find 7 promising next gen characteristics? Tell us in the comment section bellow.